Warning: Spoilers ahead for The Waking Dead Season 7. Anyway, the first thing you should know about Martin is that even though this is all virtual, he’s the guy who leaves the smelly organic mush in the fridge that makes everyone else’s food taste like gym shoes from the ‘80s smelled. In other words, I’m here to tell you, fellow The Walking Dead fans, that the violence in the premiere bothered me a lot. The show went very far out of their way to make the death of Abraham very, very disturbing with minutes and minutes of bad guy Negan whacking an already smashed head. I can still hear the sound effects! My wife, the lovely Kelly, was traumatized by how revolting it was. And then, THEY DID IT ALL AGAIN when they smashed in poor Glenn’s head, reveling in it, whack, whack, whack, very disturbing. If you don’t know what I’m taking about, The Walking Dead spent their season finale and subsequent premiere showing us that Negan and his Saviors were not only bad dudes, but also legion. Rick tried to find a way around them, but kept getting caught up in their net, until Negan had him and his merry band of survivors on their knees waiting for the psychotic leader of the Saviors, Negan, to make an example of one of them. Negan chose Abraham, killed him, and then when Daryl cold-cocked Negan, Negan killed Glen. So, first I’m going to give the show some credit. They made me feel something I rarely have felt watching a television show, traumatized. The story was full-on David Lynch, more interested in making you feel something than telling any kind of coherent story. By the end of that show, I was ready for Rick to submit to Negan. And I felt like I had too. But like many a Lynch movie, the show did it at the expense of story. I felt like I was trapped in a nightmare, but that’s the whole show anyway! There are zombies! 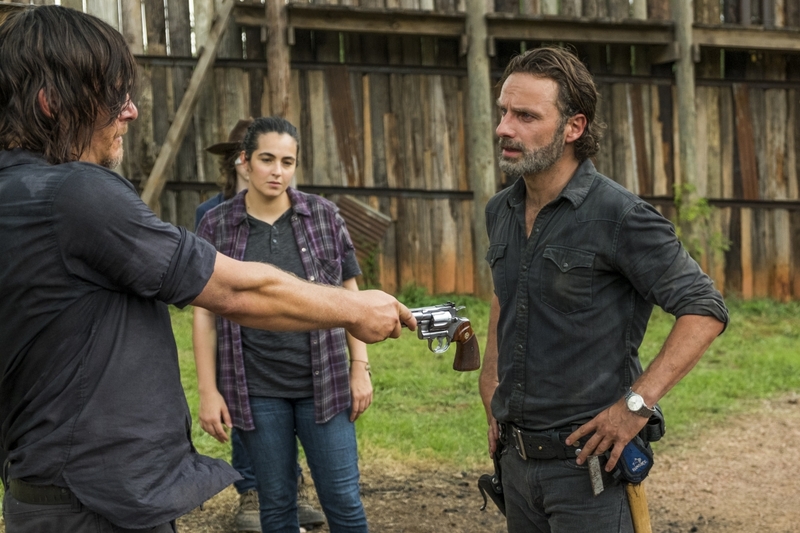 The show felt like it had to really underline that if Rick didn’t submit to the Saviors, every one of his group would be killed. And back to the disturbing death of Abraham and Glenn, “too gross” can be bad. I’m not sure where the line between good taste and bad taste is on a zombie cannibal show, and maybe this line doesn’t exist on The Walking Dead. 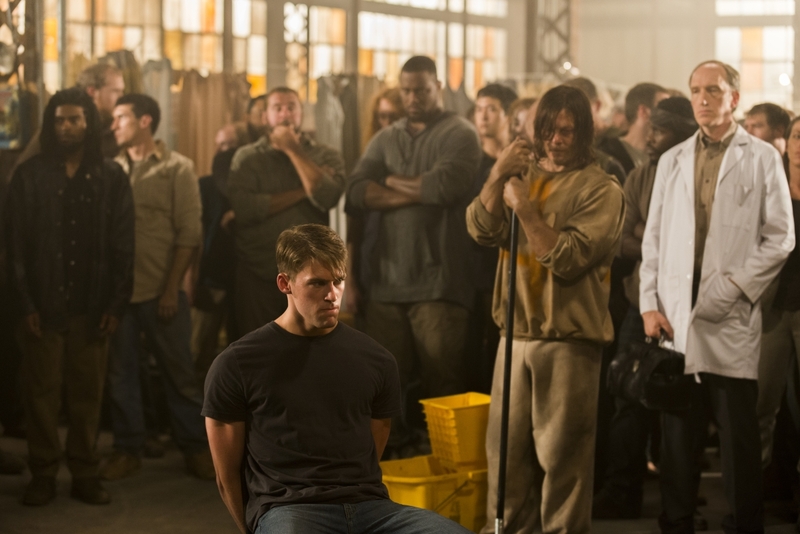 But trying to find moments of class is especially important for the The Walking Dead since they have the chops to make the show as gross as it can be with some of the best effects ever on TV. The special effects guy, Greg Nicotero, is one of the producers. He does a great job and the episodes he directs are often the season’s highlights. But I imagine Greg is always thinking of grosser and grosser things. And I didn’t like the extended melon smashing. Remember in Silence of the Lambs when Hannibal Lecter would, say, flense someone, but you couldn’t quite see it? 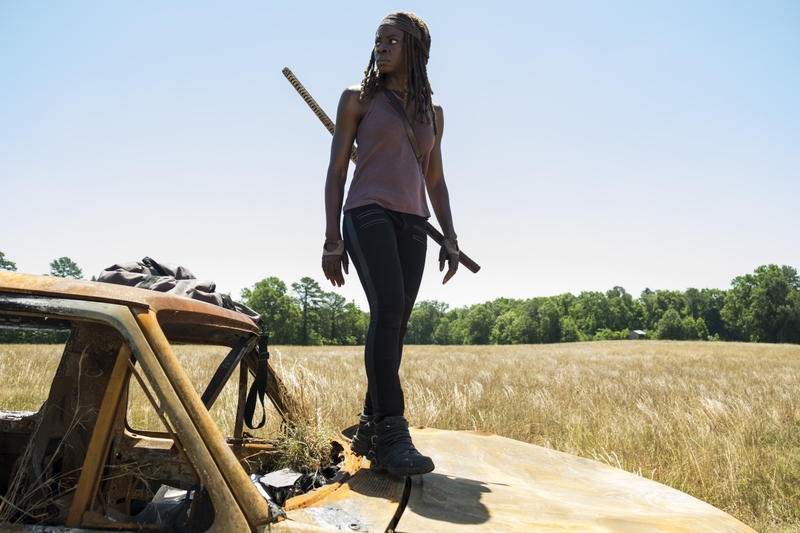 I’m not saying that The Walking Dead needs to be Remains of the Day, but they could very easily become The Toxic Avenger if they don’t show some self-control on gross stuff. But my issue is not that the episode was gross, it’s that the tail was wagging the dog. Remember last season’s finale? The whole episode was designed to show us that the Saviors were badasses. There was a lot of driving an RV and finding out that the escape route was blocked. And then the first episode of this season was all showing that Negan beat Rick, and that Rick was well and truly part of the fold. But, oddly, that’s almost too arty for the show, taking two hours of TV to establish what the character would do. We need some plot! The plot was, Rick tried to get Maggie to another settlement for medical attention, his path was blocked, and then they were stopped by Negan. So I need more to happen. So how was the rest of the season? Oddly, I think the show is at it’s best when it’s working as a soap opera. Not necessarily in the sense of who is hooking up with who, but rather why do people do things and for whom? Obviously, a lot of what Rick does is for Karl and his baby, Judith. That’s the kind of relationships I’m interested in. And it’s possible that The Walking Dead Season 7 has given me way too much of that in subsequent episodes. They just keep introducing new places, like the Kingdom with their tiger-taming leader, King Ezekiel; gyno-centric Oceanside with their traumatized leader, Natania; we even visited the Saviors as the show attempted to get us to see that Dwight wasn’t such a bad guy. Nice try! He’s the worst. I don’t care if he was sort of nice to his ex-wife! He delights in other people’s misery! We also re-visted the Hilltop community and Alexandria to see how their lives were under Negan’s thumb. In short, the whole rest of the season has just been piling up plot as ambiance. I really enjoyed the snapshot of the Kingdom, but I’m going to forget who all those people are if we don’t see them again. The Walking Dead Season 7 is obviously building up to some epic TV. But they are doing so brick-by-brick with no subtlety as story tellers. And that’s weird, because the show is really setting the quality bar high on production values, acting, and directing. The Season 6 finale and Season 7 premiere offered a unique television experience, just building and building tension and disgust. But they need to get story going again! I like that Jesus and Carl are on the truck, but it was frustrating to not find out anything at all about them during this last episode. One thing about The Walking Dead is that even though it’s one of my favorite shows, if someone hasn’t watched it, I almost never recommend it as a binge. So much of what happened over the years was preposterous and I only stuck with it because I didn’t know what was coming and by the time I realized it had been bad for five episodes, they had usually course-corrected. But the bottom line is, the The Walking Dead Season 7 premiere did bother me and it made me sick. But not so sick that I’m going to stop watching. And I agree with my esteemed colleague, Martin, that the show is trying to raise the bar on disgusting and I wish they didn’t feel like they had to do that. I enjoy the show pieces, the downed helicopter on the roof of a store leaps to mind, but don’t need for them to think of more and more disgusting ways to kill my favorite characters. The deaths themselves are traumatizing enough. We don’t need to dwell on the details. Thanks for reading! Sign up for my newsletter to get articles sent to your inbox, before they’re even posted.